From nanoscale electrical switching to quality control, our in situ solutions allow you to test and study modern electronic devices within the electron microscope. As transistor size shrinks, traditional characterization tools used to study local changes within semiconductors and electronic circuits start becoming obsolete. With in situ TEM, you can image systems at atomic resolution to conduct quality control under working conditions or test the performance of new devices and materials in your lab. Formation and Dynamics of Electron-Irradiation-Induced Defects in Hexagonal Boron Nitride at Elevated Temperatures. Using the Protochips Fusion System in the SEM, we show Schott glass melting at ~620 °C. Its known melting point is 622 °C. This demonstrates the accuracy of the Fusion heating system. For more information on Fusion, visit www.protochips.com/fusion. This video shows gold nanoparticles at 600 C. The video shows the stability of the Protochips Fusion™ at high temperatures and the ability to resolve dynamic events with sub-Angstrom resolution. The initial video was taken at 1 frame per second, and then sped up to 5 frames per second using video editing software later. The video was taken in the TEAM 0.5 microscope (FEI Titan, 300 kV, Cs aberration correction, monochromator) at Berkeley National Laboratory, Berkeley, California. 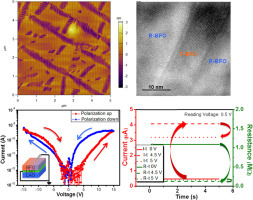 Charge and discharge nanoscale batteries and their liquid electrolytes while monitoring battery performance and coulombic efficiency. 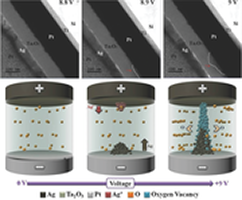 Apply current and voltage to nanoscale samples ranging from transistors to 2D materials.